Do you live in Washington? Would you like someone to pay you for being sick? It’s possible…. Those of us with chronic illness know all too well the financial strain of chronic illness; not only is it MASSIVELY expensive to treat but most of us either can’t work full time or can’t work at all. That’s why I wanted to share a little discovery that may not make a big dent in your income, but everything helps. 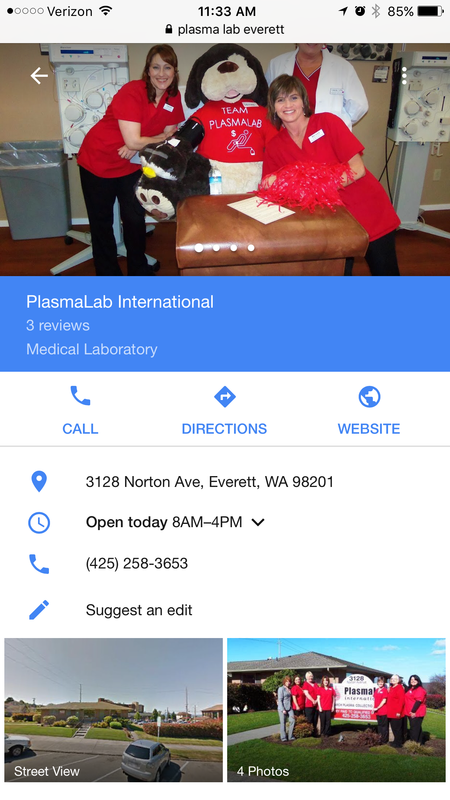 If you live in Washington there is a unique lab in Everett (one of only two in the country) that supplies unique plasma for research and testing (NOT human donation). They have a criteria they look for and want people with severe food and seasonal allergies, but also autoimmune diseases and….Lyme! Payment is dependent on which catagory you fit into and what their clients are looking for at the time. But generally you might receive $185-$200 for a donation. And once you are in their database you can donate again and again. Initially you come in and fill out paperwork, and bringing any past blood work you may have had is helpful. They take an initial blood draw to be tested to see if you qualify for their program. Several weeks later they will let you know and then you can schedule your donation. For me I had to wait longer because my ND was not initially happy with my ferritin levels and wanted them to be built up. So several months later I made my appointment. It takes about 2 hours including paperwork and testing the day of your donation. They do an intitial finger prick to check some levels and how you are doing that day (surprisingly it didn’t hurt), they want to make sure they won’t be harming you by taking plasma. 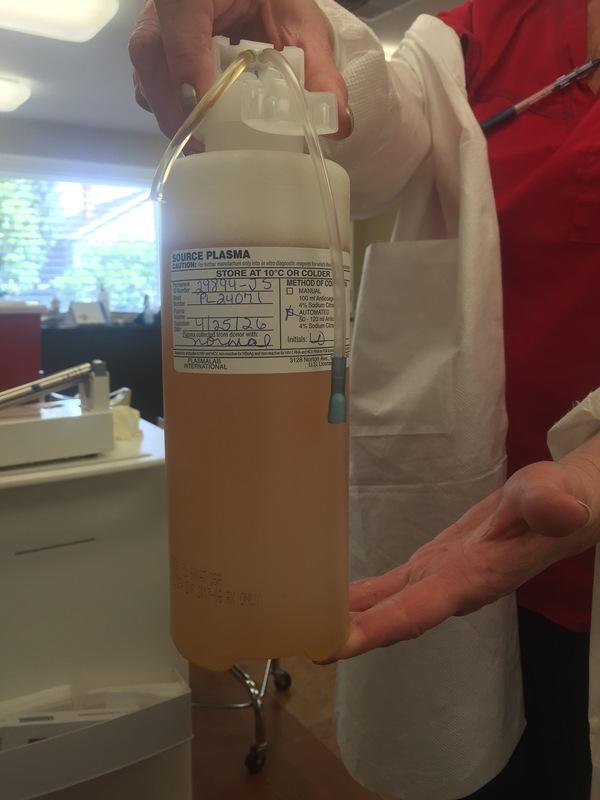 They also do a urine sample to test (I believe) protein levels and a few other things. If these look good you can begin your donation! For those of us that get regular IV’s the needle is no more uncomfortable than this. You are hooked up to a machine for approximately 45 minutes. It cycles back and forth drawing out blood, extracting plasma, and putting your red cells back. This is great because with regaining your red blood cells you don’t feel faint or weak like you would giving blood. During the process you are in a comfortable lounge chair with a heating pad and blanket if you want it. The nurse was extremely nice and chatty and told me that some of their donations travel all over the world for research. When you’re done they give you a payment slip and send a check in the mail. So, the process really isn’t too bad. I would recommend anyone with a chronic illness (or severe allergies) look into this to make some money and maybe make a difference at the same time. If you do, PLEASE mention Jennifer Steidl sent you because the other best part is that once you are a donor they also pay you for referrals. So in that way we can help each other through these meager seasons. hello friends and fellow Lymies. I know we all have it tough and most of us are struggling with our own health and finances. But I wanted to ask for help for a friend who I met online who is suffering greatly with Lyme. Stephanie lives alone in Minnesota and does not have family support. She has only been able to work part time and even that is becoming impossible. 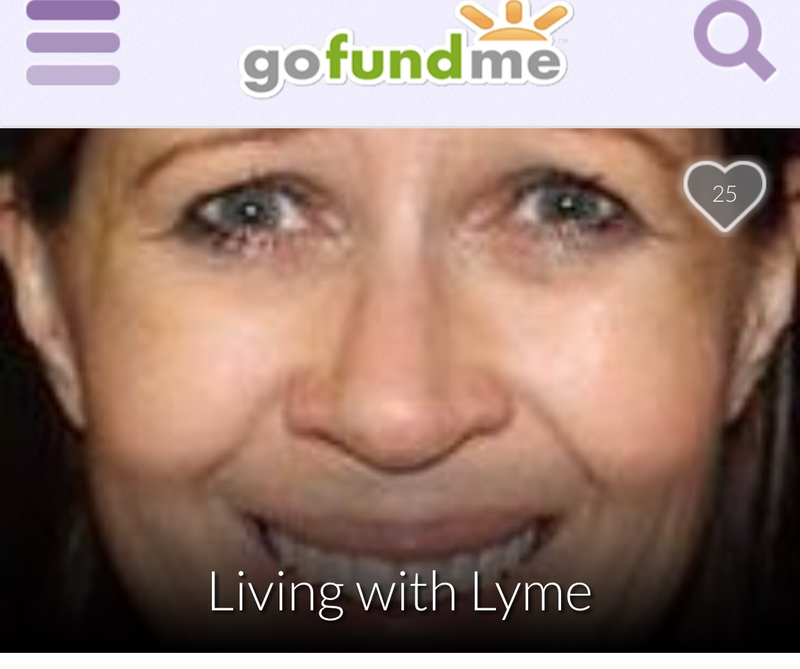 She is in desperate need of help so she can afford to start treatment for her Lyme and other issues. This is a dear sweet lady who is in a very bad situation and even the smallest amount of money would help. Can we all forgo a couple cups of coffee and help Stephanie? Blessedly my sister Holly and I are doing better, but the Lyme care must continue until completion. Holly is still doing her antibiotic injections while I continue to take them orally. We are both still taking a lot of support for liver, thyroid, adrenals, kidneys…. and all the other organs and systems that need support to make it through this journey. It remains vastly expensive and we are looking to being at the end of funds. Holly and I are both blessed to owe our very lives to our amazing doctors, but mostly to our parents Paul and Joanne. The financial toll has been huge over the last year and a half, treatment for both of us has been over 100,000, and in a few months my sister and I will not be able to continue any treatment that will be needed. If you could please pass on and share this post it would be much appreciated. And if you are able to help support us even in a small amount we would be very grateful. A request on behalf of our family. Dear friends, I am making a request on behalf of my amazing parents for some help. At that point treatment is very much about targeting the Lyme, but also dealing with it’s devastating effects in the body and supporting an immune system that has been compromised, as well as organs like liver and kidneys, and hormone imbalances and everything else that has fallen apart in the body. We are so blessed that we have good medical care by experts, and praise God we are getting better. 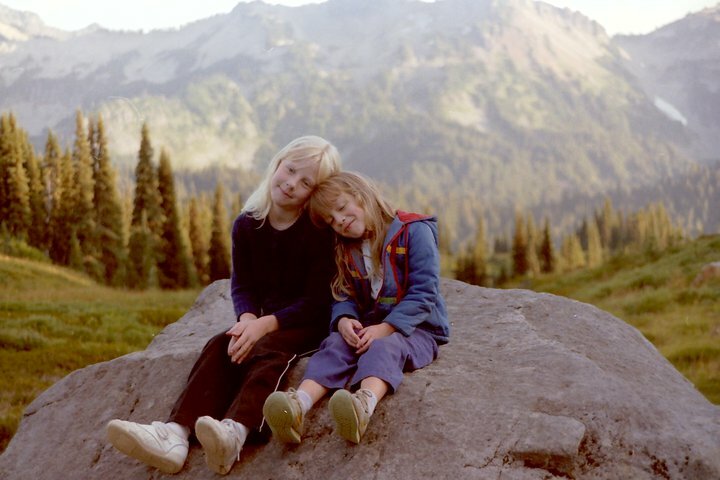 But the financial toll has been overwhelming, and both my sister and I are looking at about another year of treatment. I know that it can be very uncomfortable to ask, but I was thinking if each of our friends gave only $10 that would really help a lot. If you feel led it would really be appreciated. But please know that prayers and support mean the world too! As difficult as this long struggle has been I am grateful for how God is revealing Himself, and changing me/us day by day.